Wayne Te Brake is a Wilderness Guide with 12 years experience in the Nature Conservation and Field Guiding industry. He has a degree in Nature Conservation and has obtained the FGASA (Field Guides Association of Southern Africa) Level 3 Advanced Trails Guide and SKS Birding. In addition, he is a registered National and FGASA assessor. 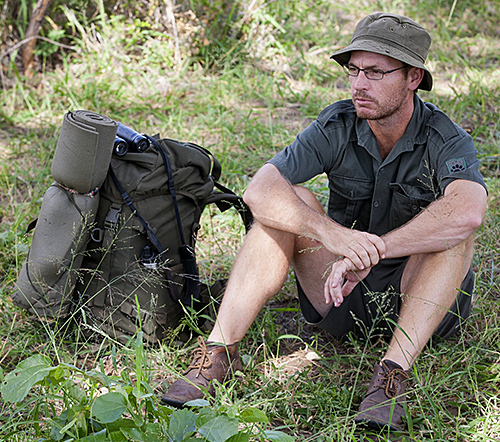 He has guided and trained field guides throughout Southern Africa. Currently the majority of his time is spent leading Back-Pack trails in the Kruger National Park, guiding private groups in the surrounding Private Game Reserves and training aspiring Trails Guides. Wayne is particularly interested in tracking and botany and is especially passionate about wilderness, making a distinction between game-viewing experiences as opposed to true Wilderness experiences.